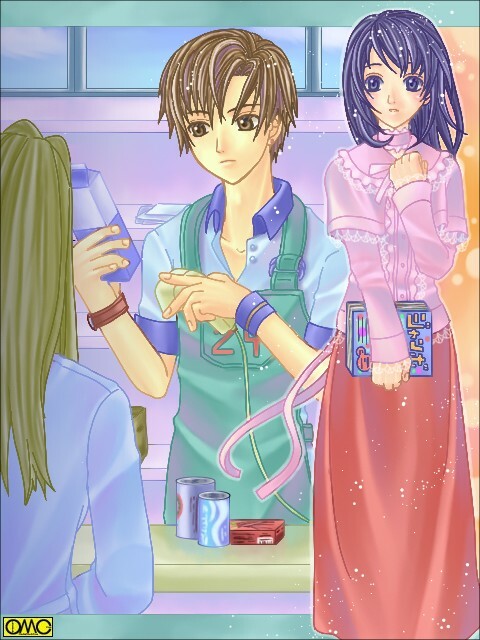 From "The Children's Day (Part 2)" in the "Kayo-chan Series"
The clerk was always on Hiromi's mind. If you frequented convenience stores almost every day, you could remember when each magazine is published. And so she did. Since she seldom did anything other than eat and sleep, she could go there at any time of the day. She often got out of the house at 2 or 3 a.m in order to not meet with her parents. She was getting more than enough sleep to do it easily. The clerk seemed to be working nearly every day. On Sundays, Mondays, Wednesdays, and Thursdays? I am not quite sure. I bet, he works in the dead of the night on Sundays because I remember seeing him unpack some magazines published on Monday at midnight when the day of the week was about to change over. How slender and tall, I mean how cool he is! Those days she must have stared at him in an adoring manner, possibly not as a girl but as the boy that she once had been and maybe like one who adores his favorite athlete. Rarely, very rarely but surely, her eyes met his. I am quite often here at noon on weekdays when no normal schoolgirl was supposed to be out of school. That's why I must have impressed him so much. Before she was aware of it, Hiromi had become a girl who was very worldly-wise.